of beautiful modern car close up in the cabin. Are you looking for a good deal on a used car for yourself or a family member? Check out our guide to finding the best used car deals and save some cash today. With more people buying used cars than ever before, we know that you’re anxious to learn how you can get great used car deals online. Of course, shopping for your next vehicle on the Internet isn’t without its complications — and risks. You need to take the time to understand how you can avoid being taken advantage of, and how you can get the best used car deals when you’re taking to your web browser before taking to the streets. This post will help you to figure it all out. From social media to online listings to figuring out how to recognize trusted online used car dealerships, we’ve got you covered. Keep on reading to ensure you’re able to find the used car of your dreams at a great price. When you first created your Instagram or Facebook account, we’re willing to bet that you didn’t expect to be able to find great used car deals on these popular social media platforms. Well, welcome to the future of social media, where direct marketing and communicating with sellers through messaging systems has never been easier. Start by browsing through the listings on Facebook Marketplace, where users can upload photos of their cars and tell you a little bit more about their condition and mileage. When you’re considering buying a car on a social media platform, we strongly suggest seeing it in person first. If this means that you’re only able to look at cars within a specific area, so be it. It’s just not worth the risk of getting ripped off. The person selling you their car should be willing to let you take it for a test drive. You should also ask them about the registration, any accidents that the car has been in, and about the last time they took it in for any repairs. While social media can give you some great used car deals, it’s also essential to do your due diligence as a consumer. Many people choose to hit up websites like Craigslist or other online directories and classifieds when they’re interested in finding the best used car deals. While doing this can give you more options, it also means you’ll need to take the time to do some serious research to avoid a major case of buyer’s remorse. If you’re considering buying a car on Craigslist, there are a few things to keep in mind. First of all, your safety is paramount. Make sure that you get the seller’s telephone number, and take the time to call and chat with them before you agree to meet up in person. If you get any kind of bad vibes, then it’s best to just move on. There are also a few essential questions you should ask when you meet up and see the car for the first time. First of all, ask if the current paint is the original shade the car came in. This will help you to understand if the seller is trying to hide any scratches, dings, or other problems from you — especially if the paint job doesn’t exactly look professional. Also ask if you can take the car to a mechanic for a more thorough inspection. 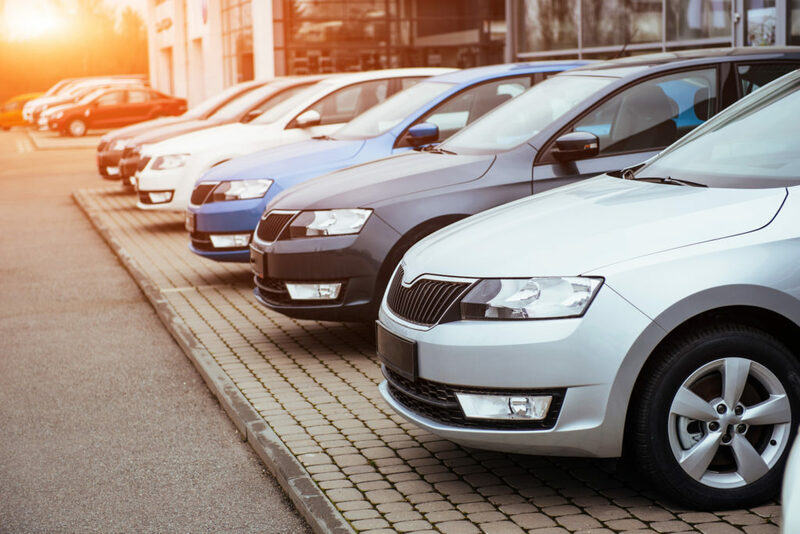 Remember, if you’re buying the car directly from an independent seller, you won’t be as protected as you might be when buying from used car dealerships or in a more professional setting. This means that you’ll need to take more steps than usual in order to ensure you’re getting the best possible deal. Another way to access some of the best used car deals on the Internet? Try visiting a trusted online dealership, like Car Corner in Edmonton. Sites like this one make buying a used car easier than ever before. First of all, you can take your time and browse through a more complete inventory. Unlike online listings or social media postings, an online dealership will give you significantly more options when it comes to the kinds of cars you can choose from. Additionally, learning more about the vehicle’s overall history and taking it for a test drive won’t be a problem at all. You’ll be able to access driving reports, get the actual title to the car, and even look into financing options. This last part is especially important, as most independent sellers will expect you to pay an all-cash offer in a single installment. Plus, you may even be able to save some serious cash when it comes to your monthly insurance payment if you are able to buy your used car outright. Finally, you can test several different models in order to find the type of car that’s the best fit for you. If you want more options and a higher guarantee of service and safety, then try an online dealership. Ready to get the Best Used Car Deals? We hope that this post has simplified the process of understanding how you can get the best used car deals online. Whether you choose to shop on social media, through a classified/listing website, or even opt to visit an online used car dealership to browse through more inventory, getting the used car you want doesn’t have to be complicated. Looking for additional advice on how to live the life you’ve always dreamed of without breaking the bank? Spend some time on our website to learn how to live your best life without spending your life savings.